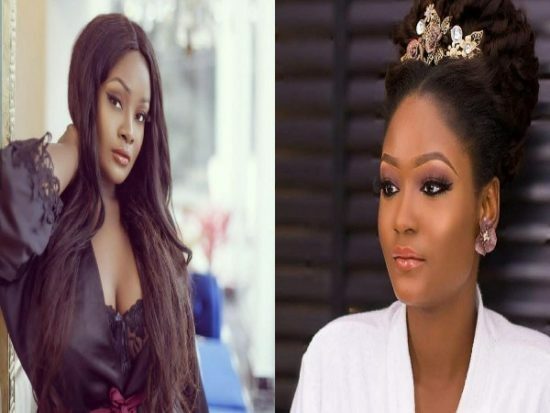 Radio girl Tolu Oniru Demuren aka Toolz was left speechless and in half shock yesterday after finding a model on Instagram who is a spitting image of her. The model who was pictured in a bridal look inspiration almost had people thinking Toolzhad posted a throwback photo of herself on her wedding day until the caption told us otherwise. 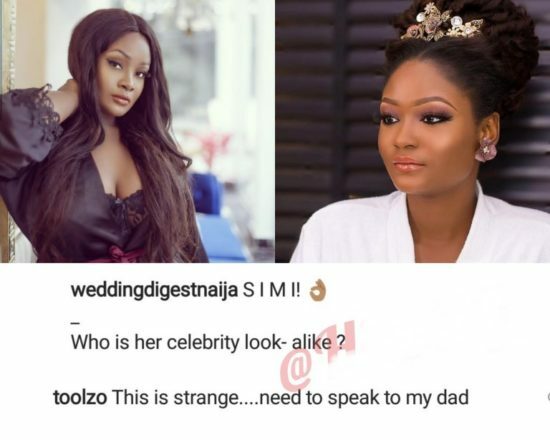 Many had been quick to tag Toolz in the photo to come find her long lost twin. The Radio girl had rushed to the post to see things for herself and had been left speechless… According to Toolz, her father has some questions to answer! “This is strange… I need to talk to my father” she wrote on the post! 0 Response to "Tolu Oniru ‘Toolz’ in shock after finding her twin online"